Every so often there comes a record that will blindside you entirely, much like the moth itself, bands can camouflage from the naked eye. 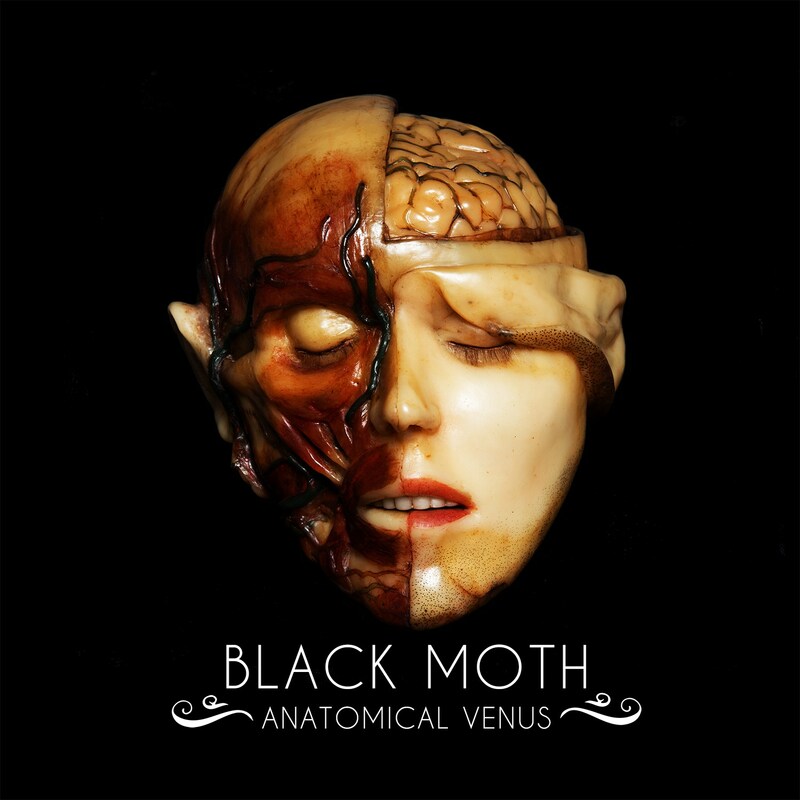 Sadly, I must admit that I hadn’t been introduced to Black Moth before receiving their promo for Anatomical Venus. Part Leeds, part London this five piece hybrid combine elements from the arid Sci-Fi deserts that The Sword would traverse to the haze of “Sweet Leaf” era Sabbath all with gasoline soaked female vocals and most importantly the almighty power of the riff. Opening the record, “Istra” moves mountains with its lumbering tones, coupled with the scintillating leads that recall a Thin Lizzy trade off with the aggression of Fu Manchu. Yet Black Moth’s true secret weapon lies in the soulful vocals of singer Harriet Hyde With an anchored backdrop of angular riffing on “Sister of The Stone” the singers vocals soar over the bass tones, slamming down the brakes for the end of the song, conjuring a half time midsection which if done badly could sound jarring, yet here never seems out of place. Functioning both as a romper stomper riff machine yet also tossing out harmonies that wouldn’t go amiss in an Iron Maiden set list, Black Moth’s melody is short, sharp but memorable. Mid album banger “Buried Hoards” brings a wonderful Southern sensibility to the table with a gorgeous pentatonic solo. Sounding like a hybrid of zombified Lady Gaga with the attitude of Brody Dalle, the singer’s delivery is steeped in attitude. “Severed Grace” being a prime example of Hyde’s vocals, allowing a certain sorcery to beckon the listener with the eerie “come in, come in, come in…”. Arriving as a welcome change of pace, the band have placed the track well giving extra dynamics to the record ending on a huge Led Zeppelin Sludge style solo. A similar pattern brought forward in “AThousand Arrows” leaving a last impact on the listener. Similarly “Tourmaline” follows the same sludgy ideals, slowly creeping in with a constricting bass line that slithers towards the listener. Yet for all the name dropping I’ve been mentioning, Black Moth have a voice of their own. Combining elements from some of the best Doom legends out there, the riffs are insidious and despite the spotlight being on Hyde, without a brilliant band to back her up the entire project could have crumbled. If you’re a fan of the greats the likes of Black Sabbath, Orange Goblin and even newer breed Mastodon, chances are you’ll find loads to love in the Blues Rock tinged Doom monger debut. Excellent stuff. Pick up the record right here before its March 2nd release date via Spinefarm.